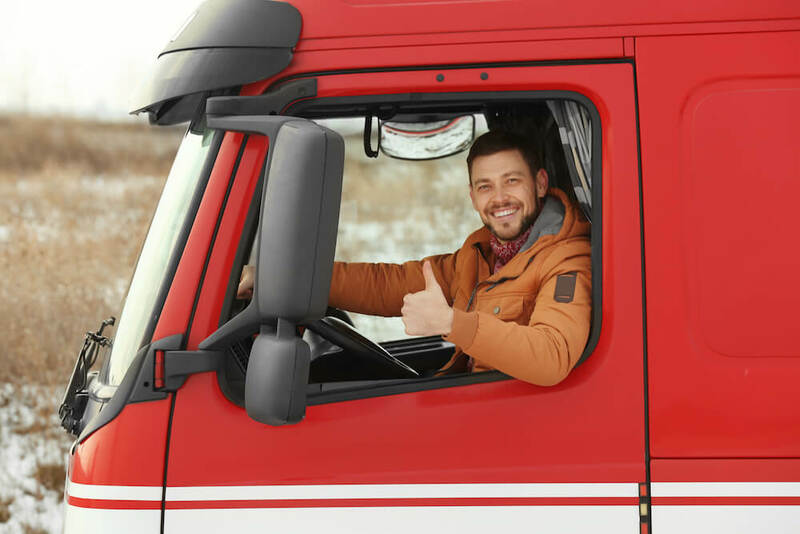 Whether you are a contractor with one commercial truck or a trucking company that operates a fleet of semi-trailers, you need commercial truck insurance. It can be hard to tell what kind of insurance coverage you need as there are a variety of myths out there about truck insurance. Purchasing insurance without having all the correct information can cost you big bucks, especially if you are in an accident and not covered properly. We’ve come up with a number of commercial truck insurance myths and facts. Here are some that you should know about. How Does Trucker Pollution Liability Insurance Protect You? Who is responsible when a semi-truck crashes and spills hundreds of gallons of toxic material near a salmon stream? That exact scenario happened in Anchorage, Alaska recently, and the driver was just sentenced to jail time for oil polluting after he crashed an oil tanker into a snowbank. The driver spilled more than 2,800 gallons of diesel fuel near the tributary of a Salmon stream. Incidents like the above one show just how crucial it is for drivers to have pollution liability insurance. Transportation pollution liability insurance helps address environmental damages caused by an accident. Read on to learn more about pollution liability insurance and why you may need it. Read moreHow Does Trucker Pollution Liability Insurance Protect You? If you are a fleet owner, then you probably know that there is a truck driver shortage. You might try to solve this issue by lowering your hiring standards or using quick or aggressive recruitment strategies. However, this strategy will likely lead to poor driver retention. Do you need hazmat insurance for your trucks? If you transport hazardous materials, then you face special risks that necessitate carrying hazmat truck insurance. Hazardous materials are among the most regulated types of cargo. They require special care. The Occupational Safety and Health Administration (OSHA), Environmental Protection Agency (EPA) and the Department of Transportation (DOT) all tightly regulate the transport of dangerous materials. Hazardous materials are tightly regulated because they cause highway safety concerns. Some of the risks that come with transporting dangerous materials include the accidental release of cargo that might injure or contaminate persons or property that come into contact with the materials. Crashes involving hazardous materials also carry the risk of explosion or fire, which can cause serious harm or death to others. Things like dynamite, paint, adhesives, and fertilizers are all hazardous materials. It’s important to protect your business from all the risks you face out there, and to do that you need the right truck insurance. Getting truck insurance quotes is easy – you can give us a call or fill out our online quote form. Since there is an inherent danger in hauling explosives and other hazardous materials, special insurance coverage is required. Hazardous materials truckers are required to carry between $1 and $5 million in hazmat insurance coverage depending on the cargo. What are the penalties for violating hazmat regulations? If you fail to comply with insurance or other hazmat regulations, then you could face fines and/or incarceration. Plus, if you have hazmat violations, your insurance policy will be higher. What does a hazmat policy cover? You might consider umbrella liability coverage on top of your existing hazmat plan. This insurance can cover additional liability related to massive disasters, such as an explosion. Umbrella liability plans usually have much higher limits. Previous hazmat violations – Having hazmat violations will increase the amount of money that you pay for insurance. To keep your insurance rates low, make sure that you follow all hazmat regulations. Gaps in coverage – Gaps in coverage will also increase your hazmat insurance rates. So, play it safe and make sure you always carry the right insurance coverage. Driving record – Drivers with a poor record will face higher insurance premiums on all types of insurance, including hazmat. Need more information about hazmat Insurance? To save money on your hazmat insurance (and other truck insurance coverages) and compare rates, contact us today. We can provide you with rates from multiple insurers, so you can choose the right one for your needs. Get started with your truck insurance quotes by filling out our online quote form or giving us a call today. So, how can you recruit and keep talented and safe truck drivers? Here are some of the best tips and tricks for finding new truckers and reducing turnover. Imagine looking in your rear review mirror and seeing your cargo spill onto the roadway. A scenario like this could result in a serious accident. A vehicle might swerve into oncoming traffic to avoid hitting the cargo. Or, perhaps a car runs over your spilled cargo, which causes the driver to lose control. Either of these scenarios could happen if you fail to properly secure your load. Aside from causing accidents, improperly secured loads can hurt your vehicle’s performance. It can affect your braking, speed, and steering control. It can make loads shift or roll back and forth in your truck. We’ll go over some common loading problems and how to properly secure your load. Trucking Managers – What Is Negligent Entrustment? Trucking managers — do you know what the term negligent entrustment means? Well, getting familiar with this term should be a priority. Negligent entrustment is so crucial because it could leave you vulnerable to a lawsuit. Read moreTrucking Managers – What Is Negligent Entrustment? How long has it been since you reviewed your trucking insurance policy? Has your policy grown with your business? If you haven’t looked at your coverage recently, you might be headed for some tough times as Tom, Don, and Luke found out. In the US, on the job fatalities rose 7% last year. The transportation industry accounts for a whopping 40% of these fatalities. That far exceeds any other industry. As important as it is to prevent a fatality, that’s not the only cost. Injuries, property damage, damage to your own trucks, potential downtime and increased insurance premiums cost you. You have trouble keeping your trucks and drivers on the road. Here’s how UPS has been tackling this problem head-on. And these are the results. When’s the worst time to find out that your company isn’t prepared for a major truck accident? Right after that accident, of course. You may have to provide documents. You, managers, and the driver may be called to testify. Understanding what to expect and how to prepare will help protect the trucking company you’ve built. If one of your drivers has been in an accident, take these 7 steps to protect your company from further damage.